The ethics of street photography - When does no mean no? At the edge of a BP fuel station late one afternoon, I photographed the wrong person by accident and found myself in a dilemma. 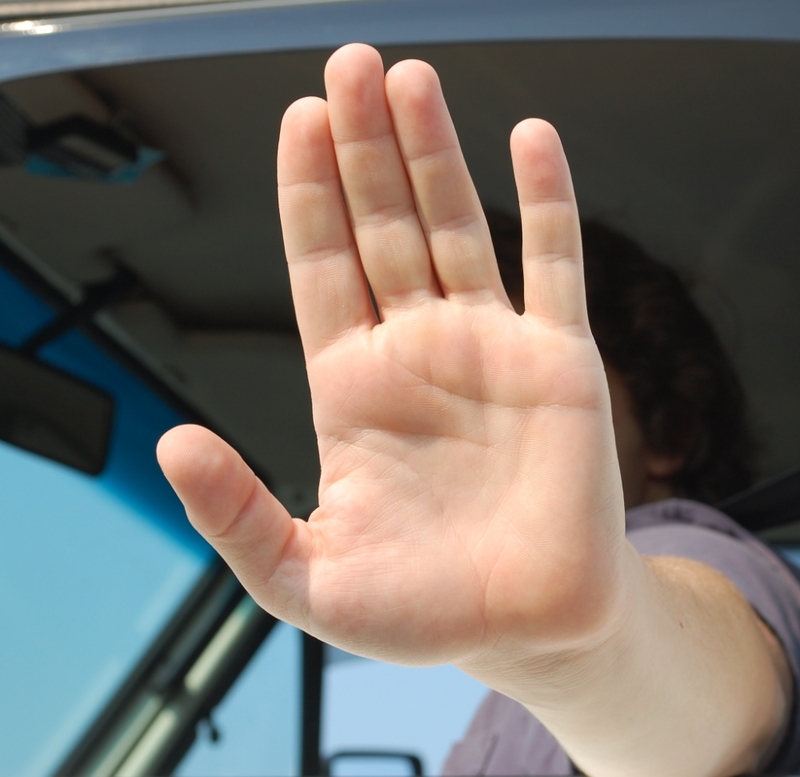 What happens when my rights are at odds with my subject's wishes? I was trying to get a shot for my Project 365 when a very angry man stormed up to me. "Am I in your pictures?" he demanded. "I have no idea. I wasn't taking pictures of you," I laughed and kept moving. "I need to see if I am in any of your pictures and delete them if I am," he said, clearly getting more agitated. "Look, I wasn't paying attention to you. I really don't care if you are in the pictures or not," I replied. Now I was getting annoyed. "No. I care!" He raised his voice and glared. At that point, I was faced with a decision. Do I give in to his demands or hold to my right to take photographs, regardless of his wishes? 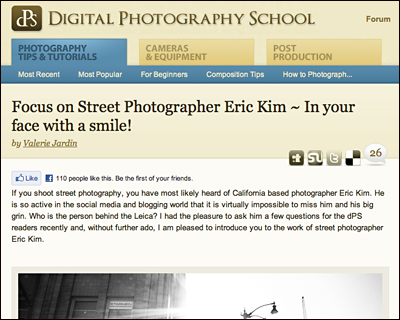 I was reminded of this exchange after reading a Digital Photography School interview with street photographer Eric Kim and a couple comments that followed the article. "I took a photograph of what appeared to be a male aspiring Asian pop-star wearing nothing but skin-tight leather leggings and a leather vest. I took his photograph and kept on walking, and he turned around and asked me if I took his photograph. I told him I did, and he told me to delete the image. I looked at the image and thought it was quite interesting, so I refused. He then started getting violent and started shoving me in the chest, spitting while he was talking, and threatening to call the cops. I stood my ground and told him to go ahead and call the cops—as I was doing nothing wrong by shooting in public. He pretended to call the cops, and then stormed off afterwards." I felt Eric's pain and understood his decision. A couple people in the comments section raised interesting points, however. "I’d be intensely peeved if this – or any – photographer took a photo of me without my permission and then refused to delete it after being requested to do so. I don’t care if you, as a photographer, find an image of me “interesting” – the subject could be in Witness protection, running from the law (or an number of reasons) – or, like me, running from an abusive ex-partner, who would kill me should he find me, and if that photo made it onto the ‘net, and if he happened to find it, well, let’s just say it wouldn’t be pretty. People like Kim don’t think about things like that. They just care that the shot “looks interesting”. How about thinking about others for once?" "I agree with pk. It’s one thing if you take a photo, someone requests you to delete it, and you do so, but to refuse to delete your photo just because it will benefit you? That is unethical. I think Kim’s photography is very interesting and while I wouldn’t get into people’s faces without permission, I think that’s not a terrible thing. I think that line is a little shakey, but permissible. But if he is asked to delete the photos, I believe he should do so. I think as human beings it is our duty to be kind and respectful to people. Too many people in the world are out for their own good and not for the good of others." This is an interesting discussion. In a situation like this, the photographer is faced with at least three options: the photographer's right, the courteous choice, and the artistic imperative. Bert P. Krages, an attorney and photographer, published the often cited Photographer's Right - a one-page synopsis of your rights and remedies when stopped or confronted for photography. Here's the general rule: when you are on public property, you are legally allowed to photograph anything you want. Property owners can restrict you when you are on their property, and if you anticipate problems, it is prudent to ask permission. Krages says that you can also photograph any person when you are in a public place. Bottom line: No one should be able to stop you, detain you, or confiscate your camera or pictures. That's the law. Yes, the law might be on your side, but does that mean you should take every shot? Keep every shot? Display every shot? Of course, it depends. If I'm taking pictures in a public place, and the subject sees the camera pointed at him, sometimes I just smile, motion to the camera. I give the universal "do you mind?" gesture. In many cases, the subject might return the smile and continue with whatever she was doing. Some subjects say no, and I move on. The law says I can, but there's no reason why I should. I'll respect the request. "Morton!" Zeke would growl. "Here's an ethical dilemma for you." "Let's say you are on your way to work, and you happen upon an accident where someone is obviously hurt. You have your camera. Here's your ethical dilemma... What speed film do you use?" Then he would roar in laughter. The point, of course, was that as a photojournalist, you always take the shot. You worry about ethics and propriety later. But you take the shot. That is instinctive and uncompromising. There are times when news value, artistic beauty, or the significance of the moment will lead you to snap the shot...and keep it. I call that the artistic imperative. It's about the work. How will you know? Like love, when it happens, you will know it. In that afternoon outside the BP station, I deleted the pictures. The angry subject trudged off muttering to himself. Why did I do it? I wasn't interested in finding out whatever made him that angry about being in my shot. He wasn't my intended subject, and there was nothing in the image worth fighting about. If I was on assignment for the Washington Post or some other publication, I might have felt differently. I had the right to keep the shot, but on that day, it wasn't worth it.